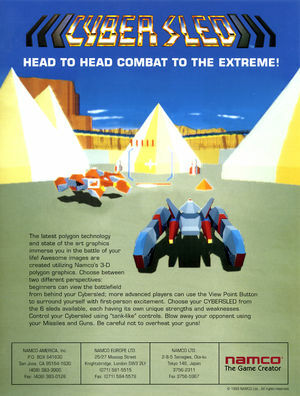 In Cyber Sled maneuvere a hovercraft style tank through a futuristic arena and fighting to eliminate an opponent (either another player or the computer). 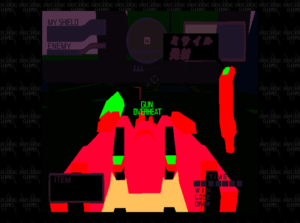 Various power-ups are available throughout the game, which feature improved radar, extra missiles, and shield re-charging. There are walls and other obstacles in the arena, which can be useful for hiding as well as a hindrance, and some of which can be destroyed. This title requires Ignore Format Changes enabled. This is set by default in 5.0-8953. The graph below charts the compatibility with Cyber Sled since Dolphin's 2.0 release, listing revisions only where a compatibility change occurred. This page was last edited on 10 November 2018, at 23:04.